Indie Retro News: Classic NES game 'Duck Hunt' is coming to the ZX Spectrum! Classic NES game 'Duck Hunt' is coming to the ZX Spectrum! We always try to keep you up to date with the best in Speccy news, but boy do we have a surprise for you. 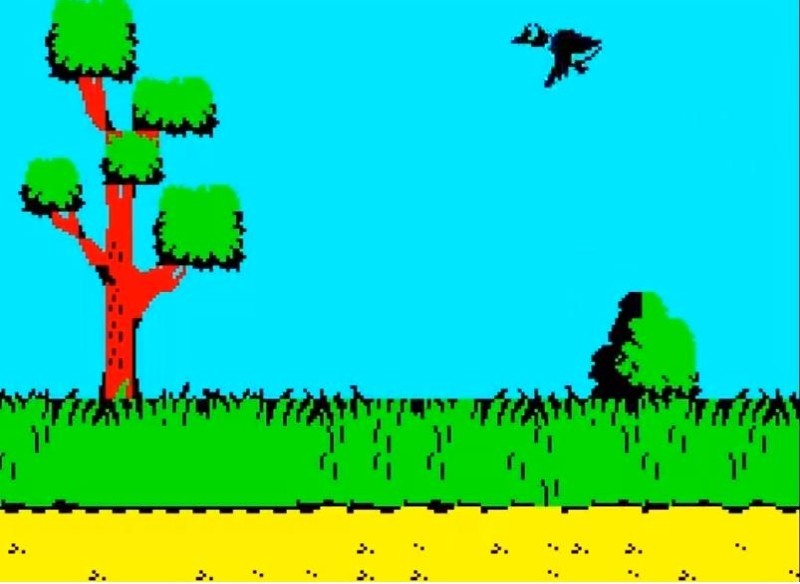 As if you've ever had a Nintendo and a Light Gun then you'll be pleased to know Allan Turvey is bringing the classic NES game of ' Duck Hunt ' to the ZX Spectrum as 'Quack Hunt'. Now it's early days and still a work in progress, but this is going to be a total conversion to the speccy that will according to the creator fully support ZX Spectrum lightguns. This conversion of Quack Hunt was also mentioned last year, when Allan showed two videos of the early development of the animation when that lovable dog walked across the screen and jumped into the grass to scare the ducks out for the player to take that cracking shot. In fact in one such video below we can clearly see the dog laughing at you, which most likely meant just like in the original you completely missed!